Today Human Nature is launching it's new products just in time for the Christmas Season and it's good to know that they have included a product line for babies. 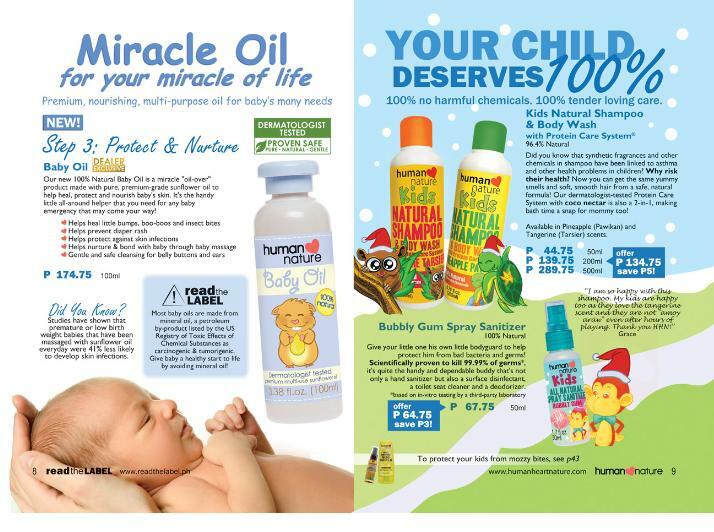 Presenting - Human Nature Baby Wash, Baby Lotion and Baby Oil. Now there's more reason to love Human Nature since they have products for the whole family. I've been a dealer for more than a ayear and I will be honest that last year I was not active in promoting the products. Only recently that I got the drive to introduce it to other people since I have nothing much to do (the advantages of being a bum for one quarter and a working from home individual). I already made a couple of reservation for these baby products to be given as gifts to friends. I hope they will like it as much as I like my personal Human Nature favorites - Feminine Wash, Moisturizing Conditioner and Sunflower Beauty Oil.